The Allied advance was stalled for two successive winters: in 1943 on the German defensive position known as the Gustav Line, stretching from the river Gargliano in the west to the Sangro in the east, and in 1944 on the Gothic Line in the northern Appenine Mountains. On the night of 12/13 October 1944 16 B-24 Liberator heavy bombers of 31 Squadron South African Air Force and 4 from 34 Squadron were detailed to drop supplies to Italian partisans in North-West Italy. The weather unexpectedly turned very bad, with a change in wind direction, and very heavy cloud and rain. Of the 20 aircraft, only 3 located their drop zones and delivered their cargo successfully, 11 aircraft aborted the mission and returned to base safely, and 6 were lost, 5 crashed into the Alps and one is presumed to have crashed into the sea off the Ligurian coast between Genoa and la Spezia. This was the single largest loss of aircraft and men in a single day in the history of the South African Air Force. With 8 crew members per aircraft, a total of 48 men died. 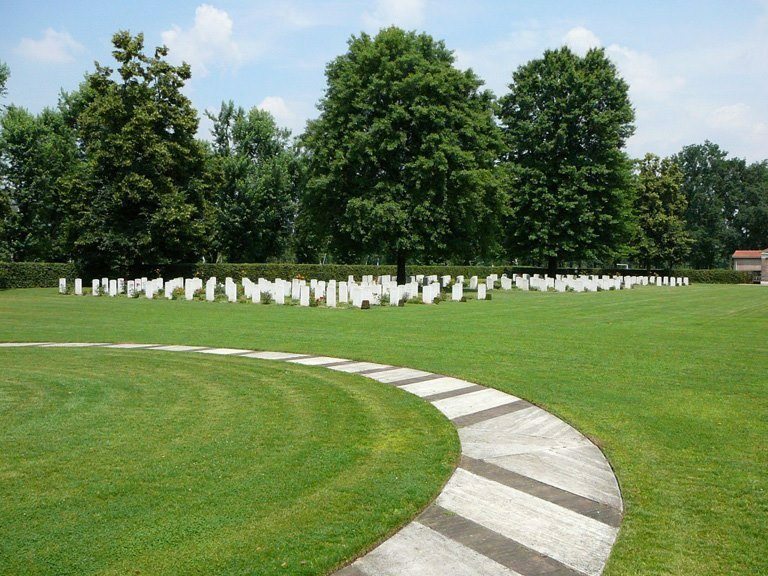 The 40 casualties from the 5 aircraft that crashed into the Italian Alps are buried in this cemetery. This tragic event is commemorated annually in South Africa on the Sunday nearest to 12 October by the Alpine 44 Club. South Africans buried in the cemetery includes 15 from the South African Air Force (9 from the event of 12/13 Oct), 5 from the South African Artillery, 2 each from Royal Durban Light Infantry, South African Engineer Corps, South African Irish, South African Police and South African technical Services Corps and 1 each from Kaffrarian Rifles, Regiment Botha, Royal Natal Carbineers, South African Armour, South African Reserve Mechanised Transport, South African Tank Corps, Umvoti Mounted Rifles and Wits Rifles/Regiment De La Rey. At the beginning of April 1945, the Allies launched their final offensive against the German positions spread out in a line across Italy, south of Bologna. German resistance was by now beginning to disintegrate and the Allies were able to fan out rapidly across the Po valley. Milan, already freed by Italian Partisans, was entered by the US 4th Corps on 2 May 1945, the day of the German surrender in Italy. As Milan fell to the Allies largely without a fight, the Commonwealth forces suffered few casualties. 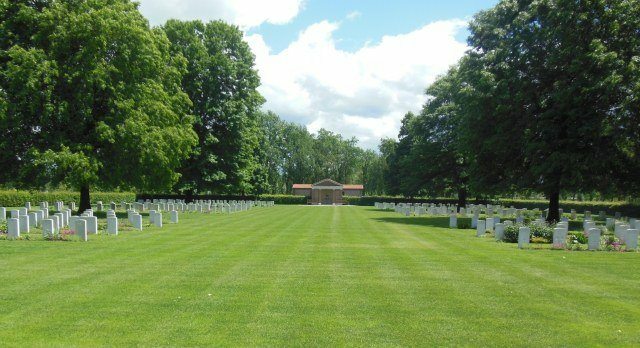 Most of the graves in Milan War Cemetery were those of prisoners-of-war or airmen and were brought in from the surrounding towns and villages – places such as Bergamo, Boves, Carpi, Cicagna, Modena, Parma, Piacenza, Turin and Val d’Isere – after the war. 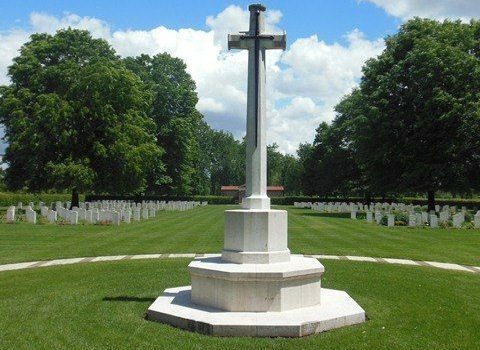 Milan War Cemetery contains 417 Commonwealth burials of the Second World War, 27 of them unidentified. 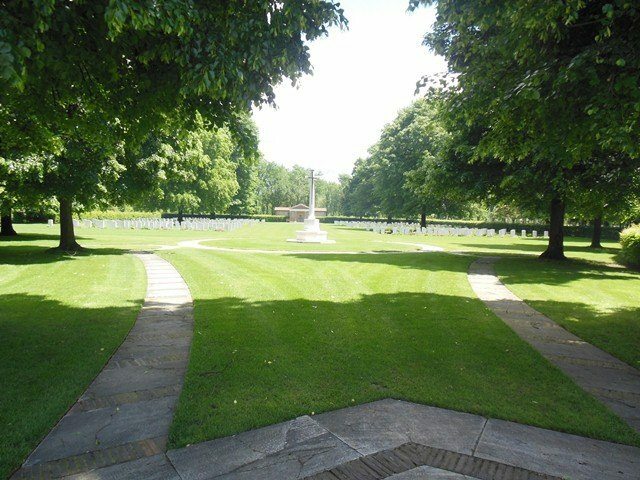 There are also six war graves of other nationalities. 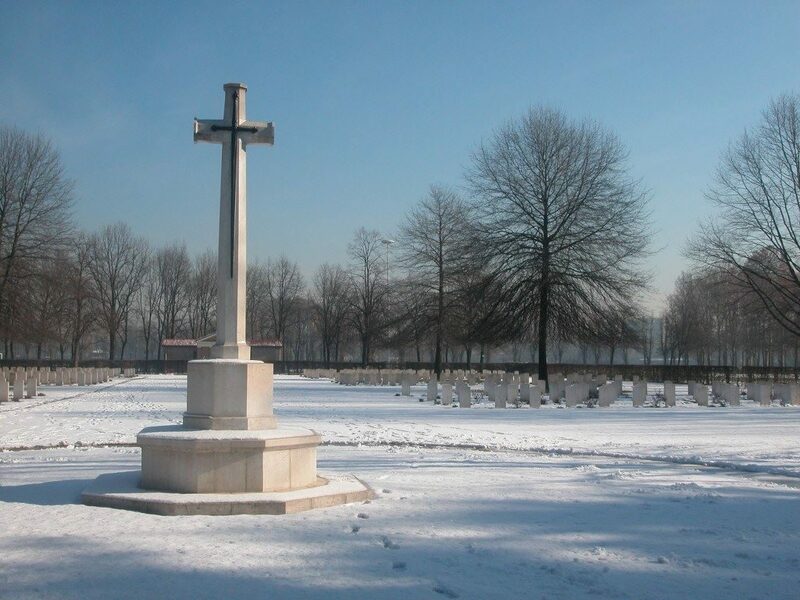 Story for the South African Legion of Military Veterans by Lgr Charles Ross based on information from the Commonwealth War Graves Commission Casualty Data Base and Alpine Club 44. 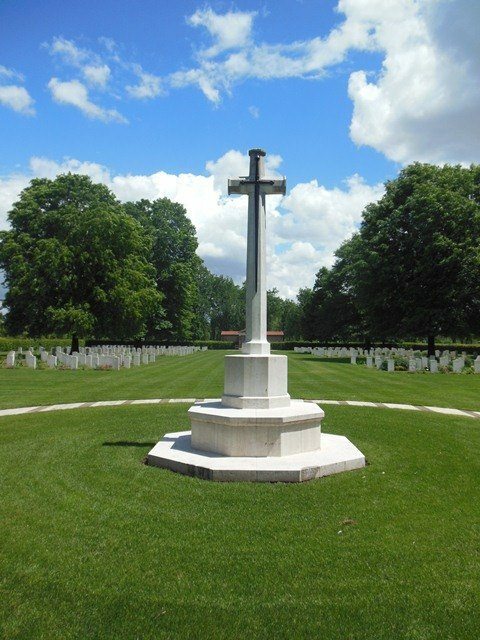 Photos by Commonwealth War Graves Commission.